Tile Ventilators are a great option to provide you with much-needed ventilation while maintaining the aesthetics of the roof design. At BSO we have a huge range of roof tile vents to fit any roof. It is crucial to have ventilation in any building to stop costly problems from occurring. 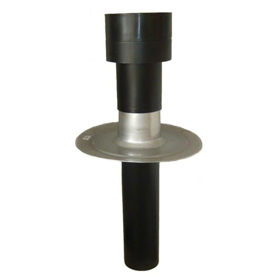 Roof Tile vents and accessories stop dampness and mould which is caused by condensation. Ventilation systems allow fresh air in and stale air out providing you with a clean home environment. Temperature control is dependable on good roof ventilation. Too little roof ventilation will cause a rise in temperature as heat can not escape, making your home warm and more costly. Keeping the attic cool has longer lasting positive effects and keeps energy efficiency down. Roof tile vents are the fastest, cheapest and most effective method of ventilating a building. We source from the highest-quality, industry-leading brands such as Manthorpe, Ariel Plastics, Hambleside Danelaw, Ubbink, Klober and Harcon. With such an extensive selection of expertise, we are sure that whatever tile vent or accessory you choose you will be pleased with the outcome. 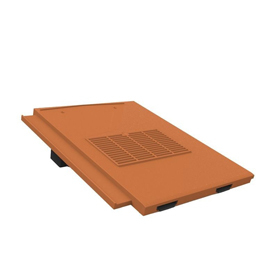 The range of colours in our roof tile vent range makes it easy to discreetly place a tile vent anywhere on your roof. With all the accessories you could possibly need to fit and maintain roof tile vents, Building Supplies Online brings you the cheapest prices with UK nationwide delivery. The selection of roof tile vents at BSO is huge and very vast. The variety of choice makes it easy for you to get the exact roof tile vent to suit the look of your roof. Roof tile vents and extraction are for those who need a roof vent to matched a tiled roof. This range includes Square Profile Type, Double Roman Type, Gemini Vents, Universal Vents and many more. This range all comes in a variety of colours to match your roof tiles. 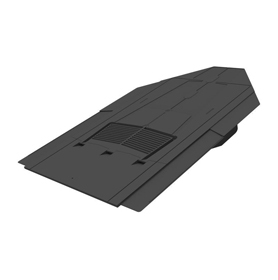 The Slate Roof Vents & extraction are made for those with a slate roof and features Flush fit slate vents, Vepac slate vents, Economy Slates, Universal slate vents, extraction accessories and many more. We also have ventlation for flat roofs. Our flat roof vent category covers all the needs of ventilation for a flat roof.